Calling all history scholars! When you visit the Delta, you’ll discover our intricate past is woven into the fabric of our Southern city. One of our favorite places to learn lessons about our compelling history is at The Oaks House Museum! This Greek Revival exhibit hall is listed on the National Register of Historic Places and is one of the oldest homes in all of Mississippi. Filled with Jackson history, you’ll be taken through centuries of history and see the evolution of our Southern gem! Before planning your trip to The Oaks House Museum, request a copy of our free Vacation Guide to Jackson, MS! You’ll find our top recommendations for local restaurants, lively annual events, and amazing outdoor activities. Our guide also features the beautifully restored accommodations and delightful amenities at Fairview Inn! 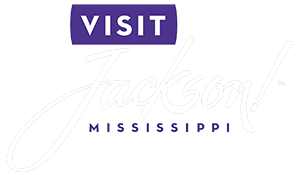 When you look for one of the best museums in Jackson, you’ll find an array of informative establishments designed to teach you about our history. Here are our recommendations for how to experience The Oaks House Museum! Also known as “The Oaks” or the “Boyd House,” The Oak House Museum is one of the few structures that survived the burning of Jackson during the Civil War. The Boyds built this Mississippi farmstead in 1853 and featured a 5-room home on 4 acres of lush land, just enough room to keep horses, chickens, and a cow. In 1877, after the death James Harvey Boyd, the family sold plots of land from the original estate. Now, The Oaks House Museum is situated on a half-acre and is operated by the National Society of The Colonial Dames of America in the State of Mississippi. The Oaks House Museum is located at 823 N. Jefferson Street in downtown Jackson, MS. As you walk through this historic showcase, you’ll learn about James Harvey Boyd, four-time mayor of Jackson, and his family’s lives in the Delta. To preserve their legacy, this museum provides an in-depth look at the mid-19th-century, middle-class family. When you conclude your house tour, meander through the stunning gardens blooming with beautiful flowers and boasting emerald green grass. You’ll also pass by the quaint Milk House or Buttery, located in the southwestern corner of the property! In addition to preserving 19th-century culture, you’ll find several historic artifacts on display. Perhaps one of the iconic symbols of The Oaks House Museum is the 31-Star Flag flying near the front entrance. On July 4, 1851, our nation adopted this design to commemorate the 31 states present in America during that time! After you tour The Oaks House Museum, make the short, 1-mile trip back to Fairview Inn. First built in 1908, our boutique hotel and adjacent carriage house showcase the essence of the Antebellum South with grand architecture and the traditional Colonial Revival style. Both of our elegant Southern retreats houses our combined 18 accommodations. We invite you to browse our luxurious guest rooms and select the ideal one for your getaway! As you search, consider booking Simon’s Loft! This secluded hideaway is located on the top floor of our hotel and is accessible by a private staircase. From the abundance of natural light to the light green accents to the large entertainment area, you’re sure to fall in love with its charming atmosphere. Whether you want to spend your evening curled up on the cozy sofa or in the plush queen bed, you and you’re sure to feel closer to your beloved on your vacation. Or, you can create an intimate evening in your spa-like en-suite! Plan your perfect Southern escape with us this year!